The Wayward Children fantasy novellas have enthralled readers since its introduction back in 2016. But now, with a little help from SyFy, it’s set to reach out to a whole new audience. The cable outlet has teamed up with Legendary TV to bring Seanan McGuire’s series to television. The four-book saga deals with students within a boarding school. They try to adjust to a normal life after extraordinary misadventures. However, a mysterious killer forces them to work together before it’s too late. Joe Tracz has signed on to adapt the books for the series. He previously lent his talents to Netflix’s adaptation of A Series of Unfortunate Events. He’s also hard at work on the musical Be More Chill. The Wayward Children saga got its start back in April 2016 with Every Heart a Doorway. It has since continued on with Down Among the Sticks and Bones, which arrived in June 2017. 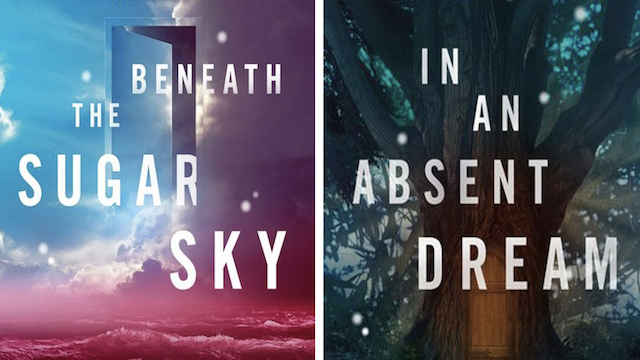 Beneath the Sugar Sky was published in January 2018. The most recent entry, In an Absent Dream, debuted in January of this year. There’s no word yet if the SyFy series will cover the events from all four books, but it seems likely. The series is still very early in development. However, it serves as a crucial part of SyFy’s continued push for original programming. This includes the hit series Deadly Class, as well as forthcoming shows such as Resident Alien and one based on the Chucky/Child’s Play films. What do you want to see from the forthcoming Wayward Children series? Let us know in the comments below!